Please click on the link below to view the letter issued by the Principal, Mr Elder with regard to Christmas and New Year arrangements. GCSE/AS and A level Examination Certificates for 2017 are now available from the school office. Please call in and pick them up over the next few weeks. 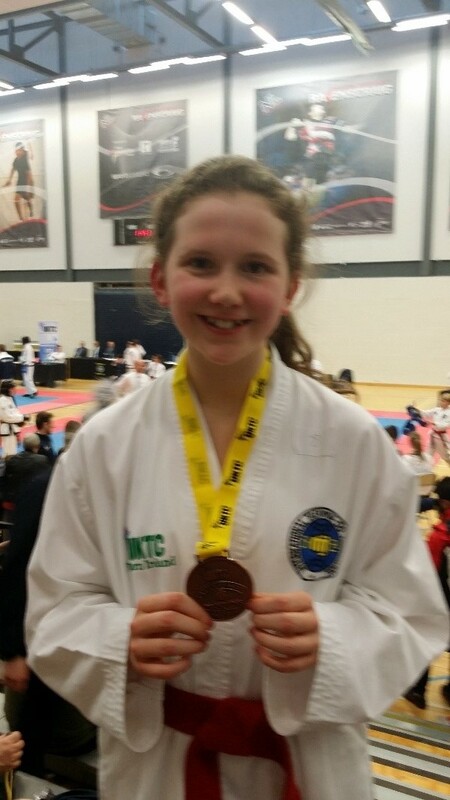 Rebecca Stewart (9A1) recently won a bronze medal for Patterns at the UKTC Northern Ireland Championship at the Aurora Centre in Bangor, and a bronze medal for Sparring at the Chang Ung Cup at the Ravenscraig Sports Centre outside Glasgow. Rebecca will be travelling to the Netherlands at the end of November with the Northern Ireland ITF Taekwondo Team. We would like to convey our very good wishes to Rebecca on this amazing achievement and as she travels with the Northern Ireland Team to the Netherlands. Year 10 pupil Kai Elliott teaching pupils of 8A4 about his relatives Lance Corporal Matthew Hassin and Corporal Andrew Elliott affectionally known as Corporal Dardanelles. His great Grandfathers who fought in World War One, in Gallipoli, The Somme, St. Quentin, Passchendaele and Ypres. Lance Corporal Hassin received the Medal for Gallantry Service and both also acquired the Victory Medal at the end of the War. We express our thanks to Kai for telling us his family's story.